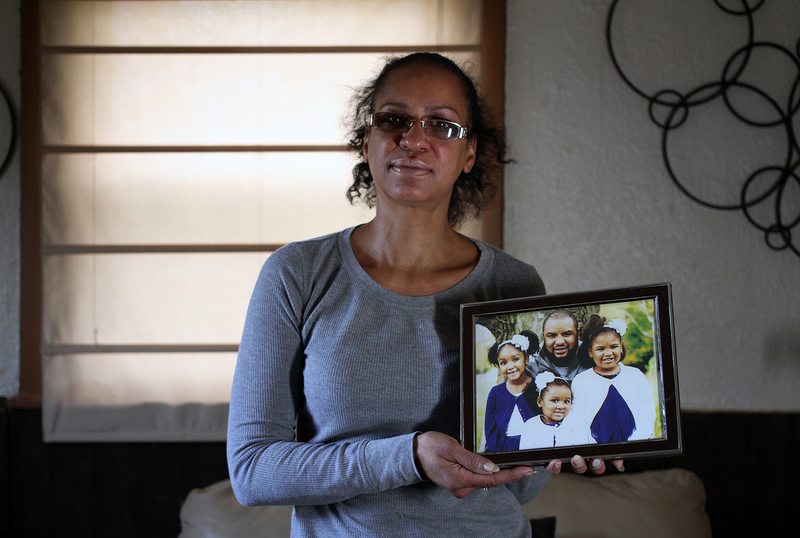 “How do you teach a 3-year-old that you'll never hear your dad's voice?” she said, as she explained her struggle for closure while her son’s murder — like so many Pittsburgh homicides — remains unsolved. Donté Hawkins was shot in 2012 outside a busy after-hours club in Larimer, a half-mile from Pittsburgh’s revitalized Bakery Square complex, on a cool spring day at 2 a.m. There were dozens of surveillance cameras. Off-duty police, armed security and bouncers guarded the club that night. Other police officers arrived in response to another shooting in time to hear the fatal gunshots. But no one has been arrested in the nearly four years since. 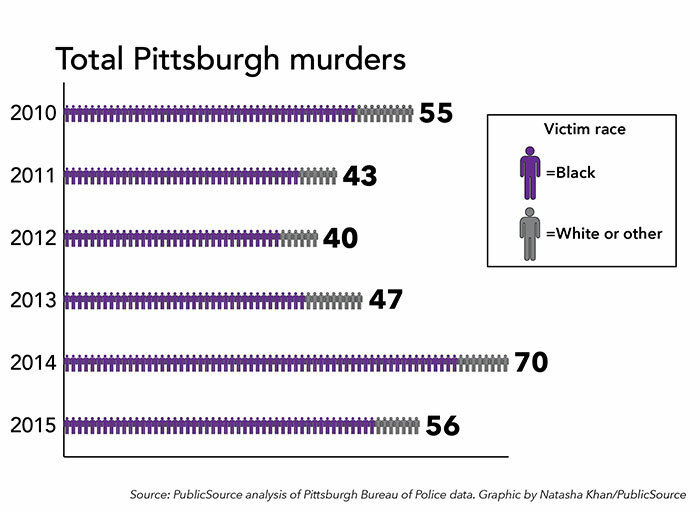 From 2010 through 2015, the Pittsburgh Bureau of Police investigated 311 homicides. Only 163 of those have been cleared with an arrest or other explanation for the death, according to available police and court records. Sixteen cases, however, did not end in a conviction. That means more than half of the murders have gone unsolved. Pittsburgh’s police have been through years of turmoil, including a leadership crisis, citizen allegations of rudeness and brutality, and reported lack of cooperation with an anti-violence intervention program. Now the bureau has a new chief, public safety director, and help from the U.S. Justice Department to repair frayed community relationships and improve homicide investigations. Pittsburgh police officials say they’re making progress. Meanwhile, the violence continues, year after year, with the same sirens running down the same streets, even as newly despondent families plead for justice. When murders go unsolved in Pittsburgh, it’s the city’s black communities that are left grieving. Eighty-five percent of the city’s murders over the past six years have had a black victim. Many of them are teenagers, or young adults like Donté, violently killed when they should just be starting their lives. Also in that period, a staggering 97 percent of unsolved cases had a black victim. Pittsburgh’s population is roughly a quarter African-American. “As time went on, he just became another African-American that lost their life,” Monica said of her son. Residents in areas including Homewood, the Hill District and the North Side live on streets that chronically have seen deadly gunfire. They’ve lost family members and neighbors, many killed within blocks of their homes, schools and churches. At best, police are overwhelmed, each unsolved case adding to a workload that won’t end, even as detectives struggle to find witnesses willing to come forward, a common reason they say murders aren’t solved. At worst, families fear police don’t care. Or don’t care enough. Germany said police were polite and interested in the case at first. There was even a suspect put on trial — though not the one who Germany believes was the shooter — and he was acquitted. To date, no one has been held responsible for Raymond’s murder. It’s been 14 years. "Our communities have accepted that this is just the way it is,” Germany said. “But I refuse to accept it as the way it is, because it’s wrong." A murder marks the worst day of a family member’s life. For police, it’s a tragedy, but it’s a day at the office. Moving on to new tasks is inevitable. Pittsburgh Police Chief Cameron McLay said he has seen no difference in the attention given to black and white murder victims, at least not by his officers. He did not say the same for the news media. McLay, who has spent much of his 16-month tenure repairing relations between the police and the community, refutes the notion that cases go cold and get stashed in some basement filing cabinet. Detectives share families’ frustrations, knowing that there’s only so much they can do without public help, even when they believe they know who committed the murder. “My detectives carry way more open cases than they could possibly juggle, but what they do is they keep it open because they really desperately want to be able to solve them,” McLay said. Donté’s mom, now a minister in Denver, knows little about what’s being done in her son’s murder case. There were efforts at the beginning, she said, when the case was in the news. Allegheny County District Attorney Stephen A. Zappala Jr. said the killers would be identified on surveillance footage from the after-hours Trappers Club and soon brought to justice. If any case had a chance of being solved, it seemed like this would be the one. Police — including those working off-duty at the club, a known trouble area that explicitly banned guns — had already responded to another shooting inside. The shots that killed Donté, out on a public street, in front of witnesses, were heard by officers. 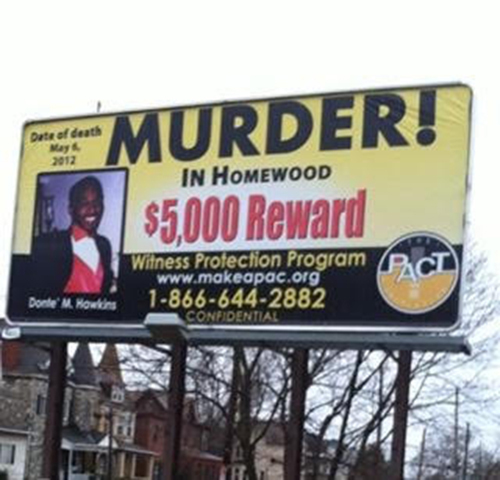 A memorial was held at the scene and Donté’s face became part of a billboard campaign offering rewards for information on unsolved murders. Still, there was no arrest. And almost no communication from the police department, his mother said. Until a September reorganization, the Pittsburgh Bureau of Police had 17 detectives working homicides. That’s roughly one detective for every 9 unsolved homicides in the city, not counting anything before 2010. PublicSource repeatedly requested interviews with detectives who investigated these and other homicides. The requests, made over several months, were not granted by publication time. A police spokeswoman said a detective couldn’t discuss the Hawkins case because of an unspecified legal issue tied to the District Attorney’s office. A spokesman for Zappala, who is running for state Attorney General, said he could not comment on the case. Donté is one of 40 victims killed in 2012. To date, only 12 of those cases have resulted in a conviction, according to police and court data. Twenty-two cases had no arrest at all, leaving 2012 with one of the worst arrest rates over the six-year period. That’s also the period when police refused to cooperate in a program to reduce gun violence, one that had been successful in cities such as Philadelphia, Boston and Cincinnati. Meanwhile, the Pittsburgh Bureau of Police faced a crisis of leadership and morale, culminating in Chief Nathan Harper’s resignation in February 2013. He was later convicted of corruption and sentenced to federal prison. More than 100 officers, including detectives, left during the turmoil. In 2014, Pittsburgh had 70 homicides, making it one of the city’s most violent years in the 50 years for which statistics are available. This comes at a time of a surge in the city’s economic growth and development — walk the block where Donté died and see Google’s flag flying high over Bakery Square — and continuous recognition as one of the nation’s most livable cities. There have been arrests in only 39 of the 2014 murders. In 2015, there have been arrests in fewer than half of the 56 killings in the city, despite additional officers assigned to investigations, new police leadership and help from the federal government to improve both homicide investigations and community policing. He was adored by friends for his charisma. Angelica Blakeman, the mother of Donté’s son, was a student athlete and homecoming queen at their high school in Penn Hills. He wasn’t her type, but she fell for him anyway. She knew he’d been in trouble, but he was charming — he could talk you into anything — and he had that big smile and personality. Angelica is raising their son, now 4, while she juggles college and work at a hospital emergency room. He had been ambitious about selling drugs. And Angelica said he could always get a gun. But he was studying criminal justice at Clarion University and seemed to be on a path away from the trouble he’d found in Pittsburgh. His mom, who believes he was killed by mistake, recalls his generosity with other students, something she’s continued with a scholarship fund in his honor. Wynona Hawkins-Harper holds a photo of her son Jamar Hawkins, who was shot and killed in Penn Hills in 2013 at age 31. Yet Donté worried he’d be dead by the end of summer, Angelica said. At 20 years old, in college, with a newborn son, he feared he had no future. His death is part of a larger calamity. Donté’s cousin Jamar was murdered in Penn Hills in 2013 at age 31 — another devastating loss for an already grieving family. That case, investigated by Allegheny County police, is also unsolved. It’s one story of hundreds, in Pittsburgh, in Allegheny County, and in cities across the county. The irony of unsolved murders is that the players are seldom unknown. The killers are often familiar. They’re active in street violence. They shoot in front of witnesses. And when cases go unsolved, a huge amount of responsibility rests on residents who choose to stay silent. The simple fact is that if Person A watches Person B murder Person C, the case likely won’t get solved unless Person A tells the police. Even if police know the killer. Some residents will never talk to law enforcement. They may dislike police, or may be criminals themselves with no interest in helping detectives or seeing a justice system that works. 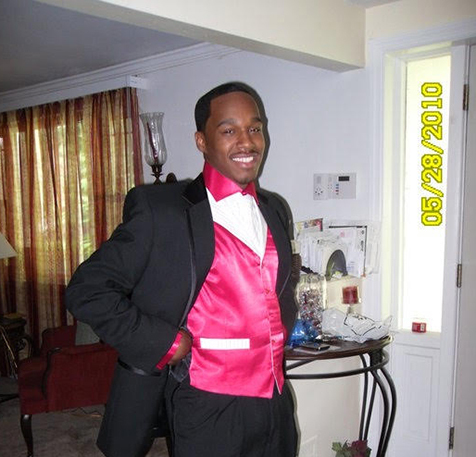 If you have information on an unsolved murder in Pittsburgh, contact detectives at 412-323-7161. Callers can remain anonymous. For information on witness protection, call 412-323-7843. Others are residents who would talk but fear they’ll be targeted or labeled as a snitch. Many believe there are good reasons not to come forward. 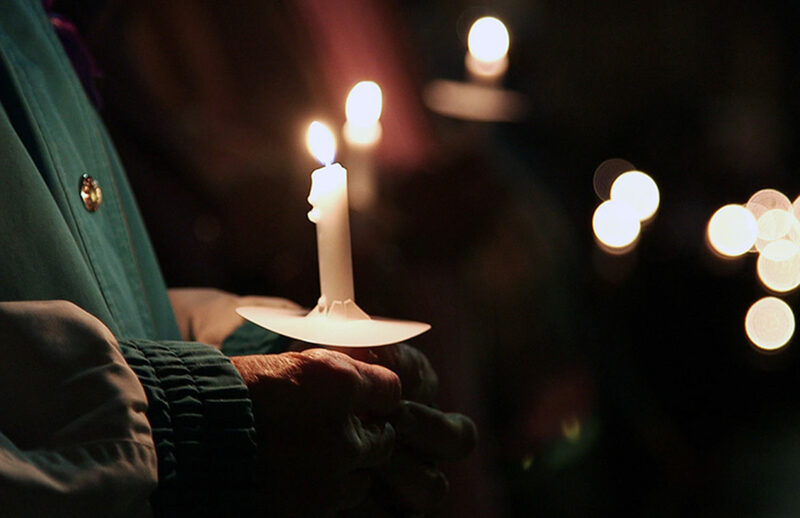 In August 2014, Tina Crawford, 34, was murdered in the Hill District. According to press reports, three gunmen fired 20 shots into a home, killing Crawford and wounding her mother. Crawford was reportedly meeting with authorities about a drug trafficking case. That case is unsolved. That’s just one example of the killing of a witness or potential witness. “It’s not safe for one person to stand up by themselves and point at those engaged in the violent crime and say, ‘It’s them, go get ‘em, cops,’” McLay said, speaking at a September breakfast with reporters. McLay says it takes the whole community standing together, demanding that the violence stop. And he also touts the city’s witness protection program, designed specifically to keep residents from harm while they work with police. The causes of violence are neither secret nor new. Police blame many of the homicides on retaliatory violence, mostly committed by young men with firearms. It’s a common story in cities across America, in areas crippled by poverty and racial segregation, and where guns are readily available. Drugs play a role. Pittsburgh Mayor Bill Peduto said heroin has ignited turf wars. But violence also flares over trivial things, simple matters of disrespect taken care of with available guns. Some of the victims have criminal records. They’ve sold drugs, they’ve been involved in shootings. And while crimes are committed by a fraction of the population, the violence disproportionately impacts black neighborhoods, where regular citizens hope desperately for a community free of gunshots. Unsolved cases include the gun homicide that killed 15-month-old Marcus White at a family picnic in East Hills. Charlene Walters, 64, was killed while watching her grandchildren at an East Liberty football game. Omar Hodges, 29, a city sanitation worker, was murdered at the beginning of his shift in Carrick. These aren’t thugs. These are residents — neighbors in a city named one of the most resilient and liveable in the country. The justice system has not worked to find their killers. Nationally, police make arrests in about 64 percent of murders, according to FBI statistics that allow arrests in old cases to be counted as clearances in a new year. Those rates have dropped from 90 percent in the 1960s. Violent crime has also declined. The reasons cases aren’t solved are easily stated. Lack of community trust in police, active disdain, fear of being targeted for testifying, and the inability of the justice system to overcome those known challenges. There have been attempts to change things. In 2010, the Pittsburgh Initiative to Reduce Crime, created explicitly to reduce gun violence, was launched in Pittsburgh. But criminologist David Kennedy, who created the program PIRC is based on, told the Pittsburgh Post-Gazette last year that the program here was “actively rejected” by police. Under McLay, PIRC has been recast as Group Violence Intervention and federal assistance has been sought to improve homicide clearances and rebuild police-community relations. As of September, homicides are investigated by 32 detectives in a unit responsible jointly for homicides and robberies. That’s nearly double the manpower they had before, though it’s only a reorganization, not a rush of new resources. McLay has dedicated much of his energy to cleaning up past problems — complicated things like improving recruiting and officer diversity, managing limited funds and personnel. The point is to have a bureau that residents feel they can trust, so when senseless shootings and homicides happen and residents know who is responsible, they’ll step forward. Without that trust, the system predictably fails. 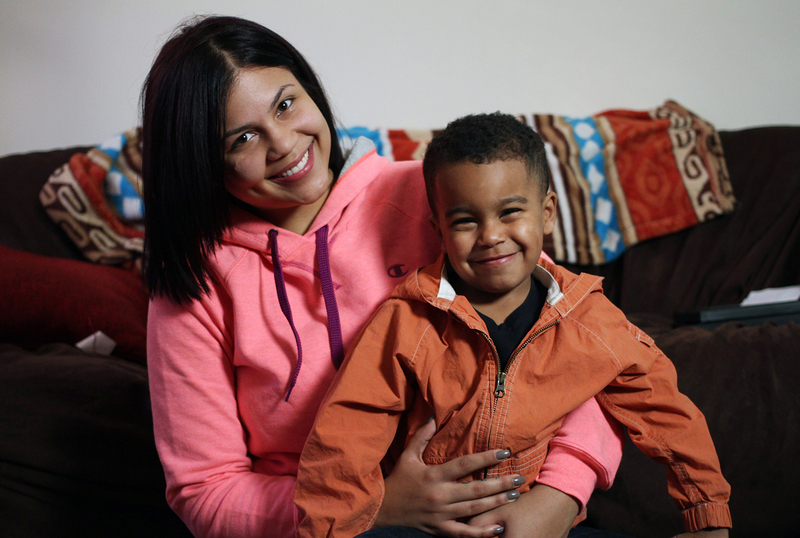 Angelica Blakeman holds her 4­-year-­old son Jaiden. Jaiden’s father, Donté Hawkins, was fatally shot in 2012 at age 20. “The irony is most of the cops know who they are. Most of the residents know who they are,” McLay said. The problem, he said, is police and residents aren’t talking. Monica Hawkins can’t believe nobody will come forward. Donté’s homicide, and so many other murders, did not happen in a vacuum. There were witnesses. Now there’s the aftermath. A mother without a son. A 4-year-old who doesn’t have a dad. A mother raising him alone. An arrest doesn’t always bring relief. But at least it shows the justice system worked. The cases stack up on desks, a priority until the system moves on and the community moves on, and then there are more homicides, while new families are left questioning why justice isn’t done and whether anyone even cares. A grant from the Fund for Investigative Journalism helped to fund this PublicSource project. Megan Harris of WESA and freelancer Ryan Loew contributed to this report. VIDEO Pittsburgh is often called a “most livable city.” For many, that’s a lie. Residents of some neighborhoods feel safe. And in other sections of the city, they are afraid to leave their homes. PublicSource plotted every murder in the city of Pittsburgh from 2010 through 2015. Using arrest data recently made available by the Bureau of Police, we have illustrated the gulf in murders and arrests. Using disposition data from the Allegheny County District Court, we have tracked each case to verdict and illustrated when those prosecutions fail. Two mothers — sisters Monica Hawkins and Wynona Hawkins-Harper — reflect on the unsolved murders of their respective sons, Donté Hawkins and Jamar Hawkins.